SIMARRON FARM élevage de paint horse. 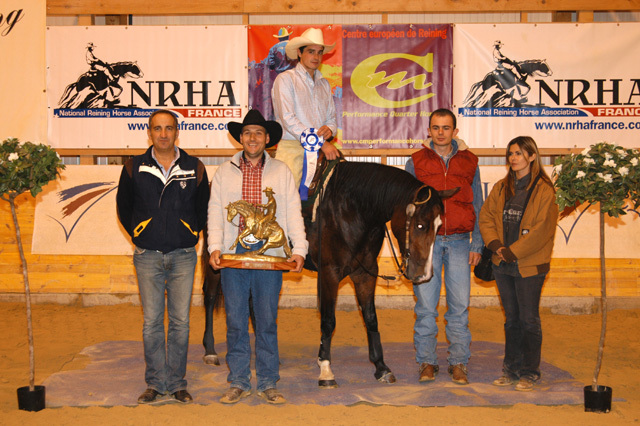 en octobre 2005 pour les Futurity de Reining Open 3 et 4 ans NRHA. Cheerioaks est une fille de DOC'S OAK, celui ci a été triple crown en cutting, par Doc Bar. A.N.C.R. FUTURITY REGGIO EMILIA cat. " A.N.C.R. OPEN CHAMPION score 225.5 "
An AQHA World Champion in both Reining and Cutting ! Puis il s'est converti au REINING à l'âde de 8 ANS !!! AQHA / NRHA World Champions Reining & Cutting Open + Non Pro etc. 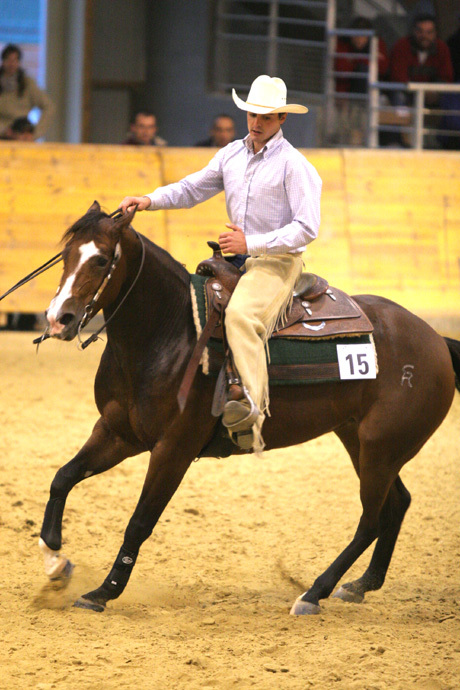 2006 – Smart Chic Olena also became an NRCHA Million Dollar Sire in 2004. NRCHA Hackamore Classic Champion Chics Magic Potion. Cutting Champion; AQHA Superior Cutting. JUST CHICYNN ($87,561: AQHA Reserve High Point Junior Cutting Champion). Smart Little Lena has a phenomenal history in the world of cutting. This 1979 stallion is cutting's leading sire for the previous five years. His 524 money-earning offspring have won $9,563,193 from 1995 to 2000. That works out to an average of $18,250 per offspring. 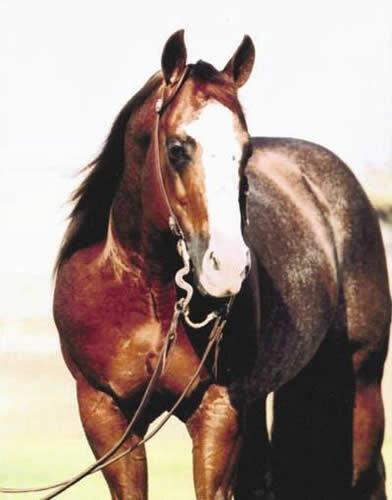 Smart Little Lena was sired by 1970 NCHA Futurity winner Doc O'Lena and out of Smart Peppy, a daughter of the great Peppy San, the stallion and Bill Freeman swept both go-rounds of the 782-horse 1982 Futurity, came in second in the semi-finals by one point and then won the finals with a 225, then the highest score in the history of the event. The win was worth $264,085. 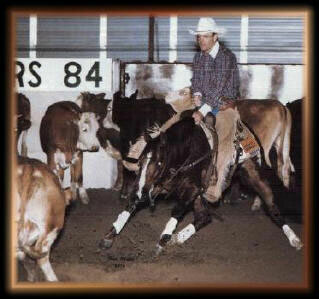 He went on to capture the 1983 Super Stakes and tie for the 1983 Derby title, making him the first NCHA triple crown winner. He was retired to stud less than a year later with $743,275 in earnings, making him second on the list of all-time money earning horses. For a horse with such a fabulous post-Futurity history, the Smart Little Lena legend began modestly enough. A scrawny colt, he was bred by Hanes Chatham, Pilot Point, Texas, who owned his dam. No bigger than a German Shepherd when foaled in July 1979, Smart Little Lena was started under saddle 25 months later by Chatham, who intended to consign the colt to one of the upcoming Futurity sales. In the meantime, Chatham sent Smart Little Lena to neighbor Freeman for finishing. Freeman was astounded at what he saw when he put the colt on cattle, which confirmed Chatham's gut feeling about Smart Little Lena: the horse had such phenomenal talent that both believed he was fully capable of winning the Futurity the next year. Looking back, that was an almost outrageous sentiment to hold, seeing as how the field would be overloaded with talent. 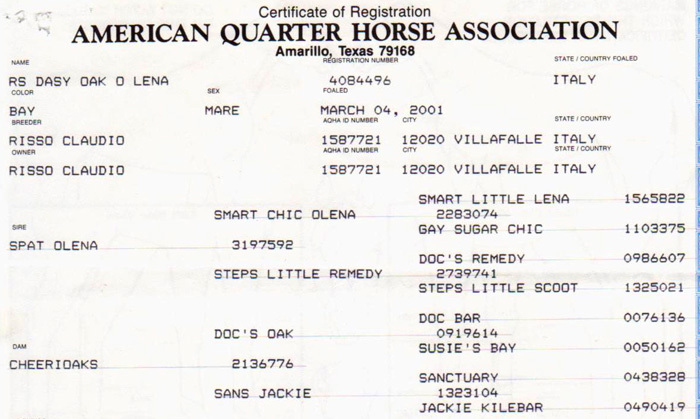 Of the 23 finalists in the 1982 Futurity, 20 were sired, like Smart Little Lena, by sons of Doc Bar. No one horse had any more of chance than any other. But, the cutting world had not yet seen the likes of this colt. Chatham, now fully realizing what he had, withdrew the horse from the sale and went forward with plans to have Freeman show him at the Futurity. Freeman wanted to own the colt, but he lacked the funds to buy him, even at the half interest Chatham was willing to sell. He scraped up the money to buy his half interest by selling all of his cattle that the bank actually owned and sold syndication shares before the Futurity. With the money Freeman made, he repaid the bank and together, he and Smart Little Lena rode into cutting history. The story nearly had a different ending. Three months before the Futurity, Smart Little Lena and another Futurity colt ingested blister beetle-infected hay. The other colt died, but Smart Little Lena, although deathly sick for two days, survived. With the question of whether he could win the major events overwhelmingly settled, Freeman and Chatham next wondered if Smart Little Lena could pass on his cow-smart sensibility, his great attitude and his athleticism to his offspring. That question was "smartly" answered during the 1987 Futurity, when his first foal crop reached Futurity age. Smart Date, a filly by Smart Little Lena and out of Trip Date Bar, promptly won the Futurity with a 225, just as his sire did five years earlier. A total of 23 Smart Little Lena offspring competed in the Open that year, with six making the semifinals and three advancing to the finals. In the Non-Pro, 12 competed, with four making the semifinals and two the finals. 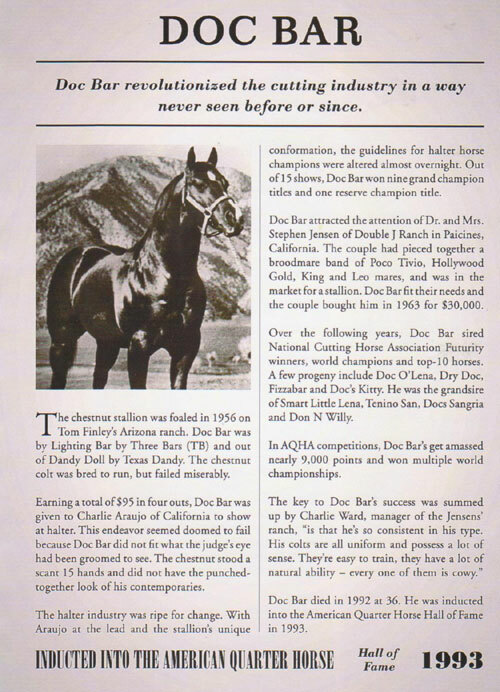 During the nine Futurity sales in 1987, it was the same story. The records show that 31 offspring sold for a total of $567,450. 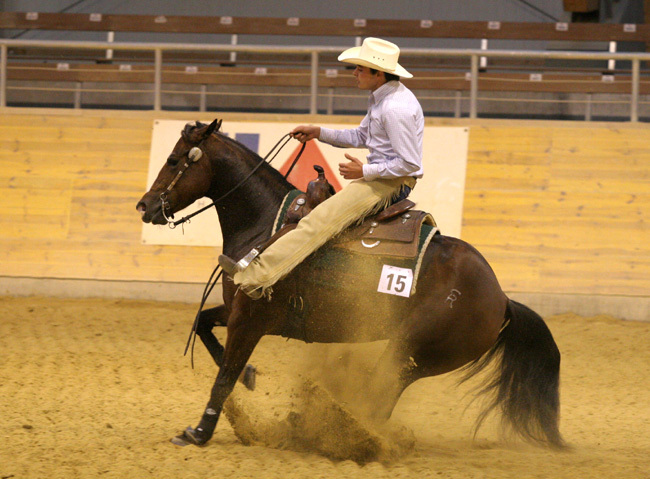 The highest was Classy Little Lena, which went for $85,000 during the NCHA prospect sale. Smart Little Lena in a pedigree is still cutting magic. 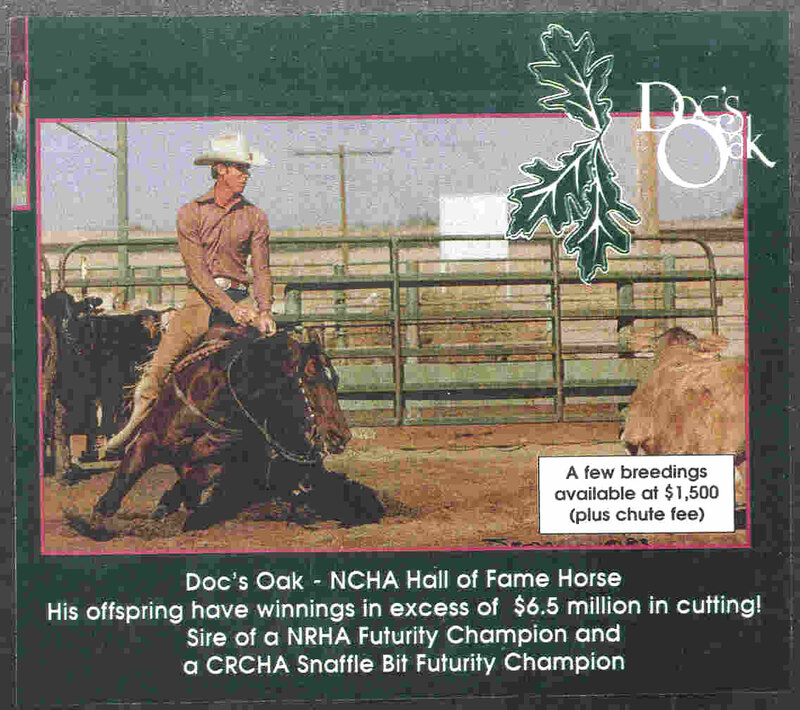 He had 17 semifinalists in the three divisions of the 1999 NCHA Futurity led the '99 Futurity sales when 89 horses, or 84 percent of the 106 consigned, brought a leading gross of $2,553,100 for an average of $28,687. The leading sale horse, Mighty Fine Sue, was sired by Smart Little Lena. The pretty yearling filly, out of Meradas Little Sue, sold for $240,000. His most recent Open Futurity winning offspring was Some Kinda Memories, a mare that took the title in 1997, a decade after Smart Date accomplished the feat. Some Kinda Memories was Smart Little Lena's leading performer over the past five years, earning $291,883, followed by Pastels Smart Lena, $236,123; the Paint Smart Peppy Lena, $235,761, and Jiggin Little Lena, $230,404. 2001- #1 Sire of Cutting winners is again, Smart Little Lena. 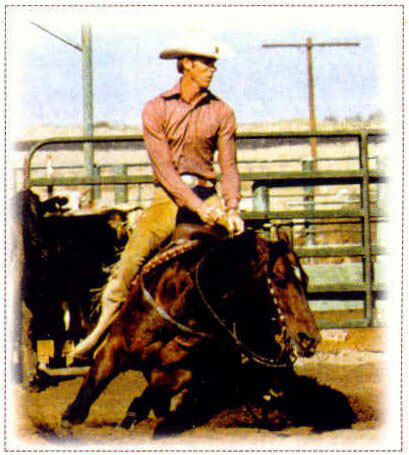 He is also ranked the #15 sire of Reined Cow Horse winners. 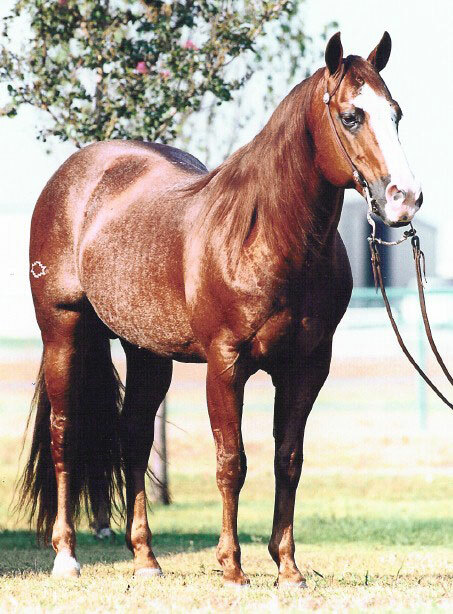 Smart Little Lena is the All-time leadin g Cutting Horse Sire. This 1979 stallion will go down in history as the finest! His get have earned over 33 Million Dollars in the performance arena. 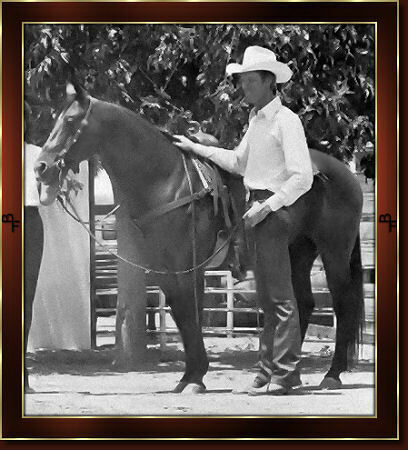 Smart Little Lena was sired by 1970 NCHA Futurity winner Doc O' Lena and out of Smart Peppy, a daughter of the great Peppy San. 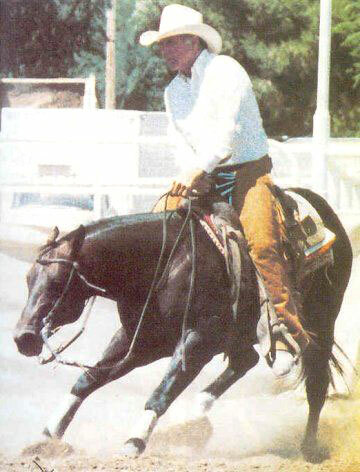 Smart Little Lena and Bill Freeman swept both go-rounds of the 782 horse 1982 Futurity, came in second in the semi-finals by one point and then won the finals with a 225, then the highest score in the history of the event. The win was worth $264,085. 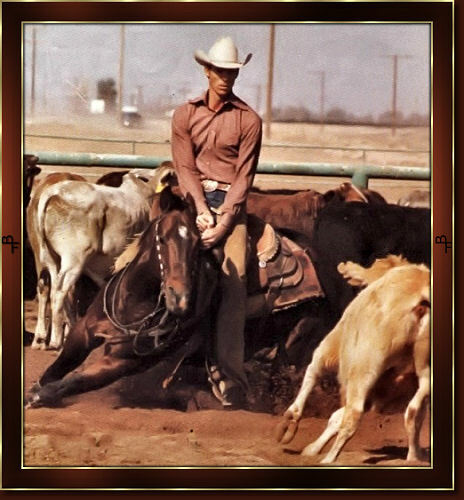 He went on to capture the 1983 Super Stakes and the for the 1983 Derby title, making him the first NCHA Triple Crown Winner. He was retired for stud less than a year later with $743,275 in earnings, making him the second on the list of all-time money earning horses. For a horse with such a fabulous post-Futurity history, the Smart Little Lena legend began modestly enough. A scrawny colt, he was bred by Hanes Chatham of Texas, who owned his dam. No bigger than a German Shepherd when foaled in July 1979. 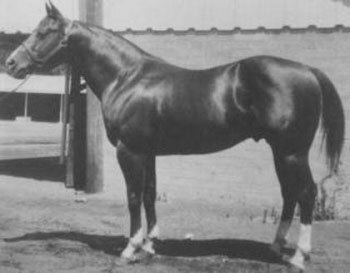 Smart Little Lena was started under saddle at 25 months of age by Chatham, who intended to consign the colt to one of the upcoming Futurity sales. In the meantime, Chatham sent Smart Little Lena to his neighbor Bill Freeman for finishing. Freeman was astounded at what he saw when he put the colt on cattle, which confirmed Chatham's gut feeling about Smart Little Lena: the horse had such phenomenal talent that both believed he was fully capable of winning the Futurity the next year. Looking back, that was an almost outrageous sentiment to hold, seeing as how the field would be overloaded with talent. 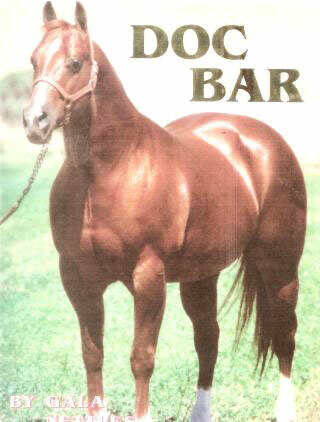 Of the 23 finalists in the 1982 Futurity, 20 were sired, like Smart Little Lena, by sons of Doc Bar. No one horse hand any more chance than any other. But the cutting world had not yet seen the likes of Smart Little Lena. Bill Freeman and Smart Little Lena rode into Cutting history and will forever be known around the world. Smart Little Lena is the #1 Sire of Cutting Horses for over Five years. 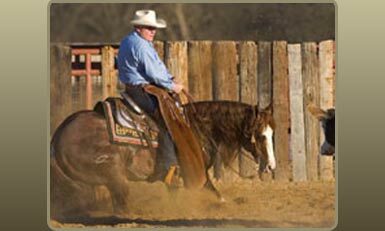 His get, like WR Lena, have excelled in reining, working cow, cutting and even western pleasure – showing the true versatility of the breed. WR Lena is an excellent representation of the his GREAT sire, Smart Little Lena. He too has proven his ability in and out of the arena. 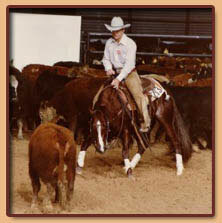 1981 NCHA Open Futurity; NCHA Novice Reserve World Champion.